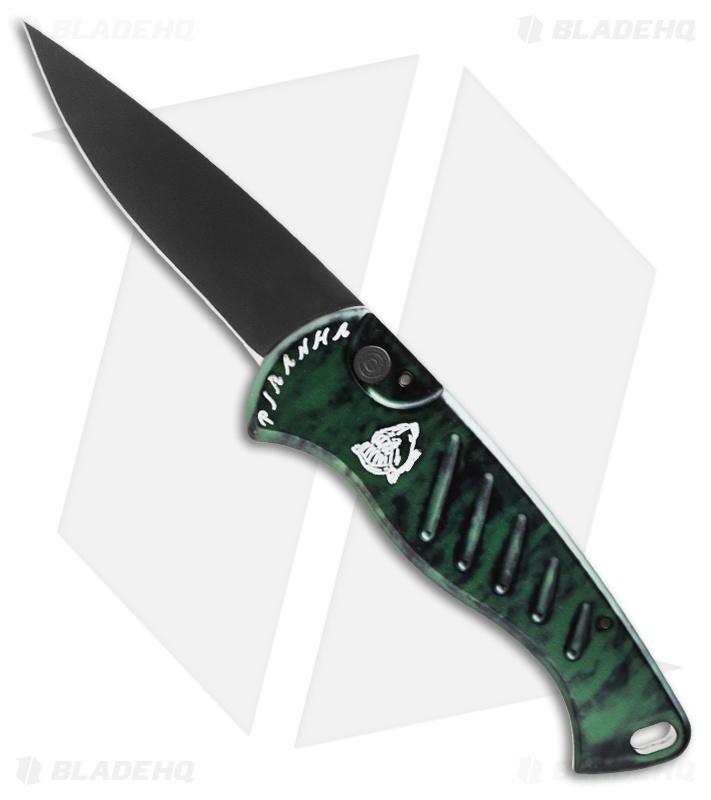 The Piranha Fingerling is a functional and stylish automatic knife. The action is fast and lockup is solid, so hang on tight! This Fingerling has a black finished drop-point style 154-CM stainless steel blade with a plain cutting edge. 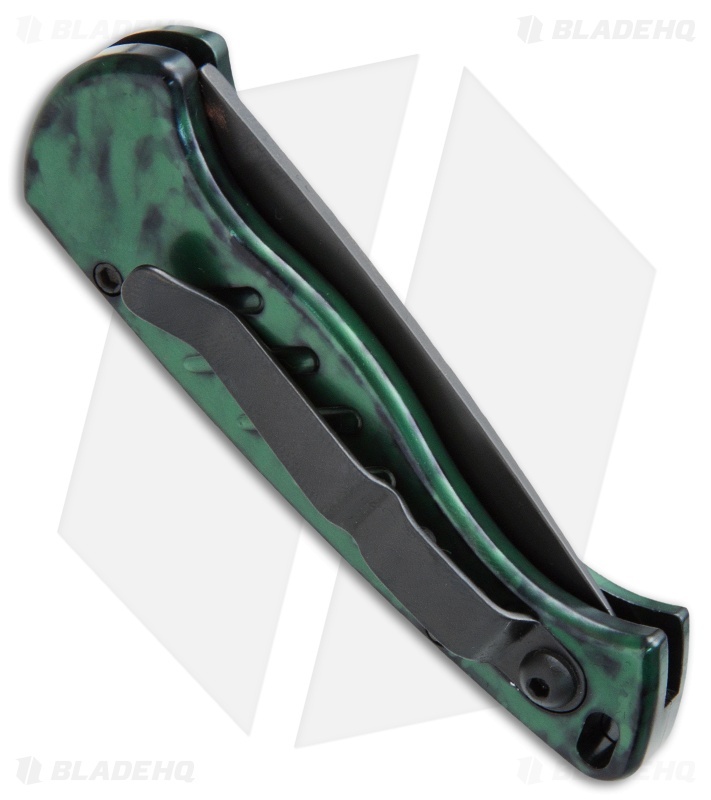 The lightweight and sturdy 6061-T6 aluminum handles are green anodized and feature recessed grooves for added gripping power. The knife is very thin, which makes it quite comfortable to carry with the tip-up titanium pocket clip.